How are you all doing today? It’s been really hectic this week as I try to wrap up all the final posts before my little blog hiatus. I’m on the tail end though, just a couple more to go. 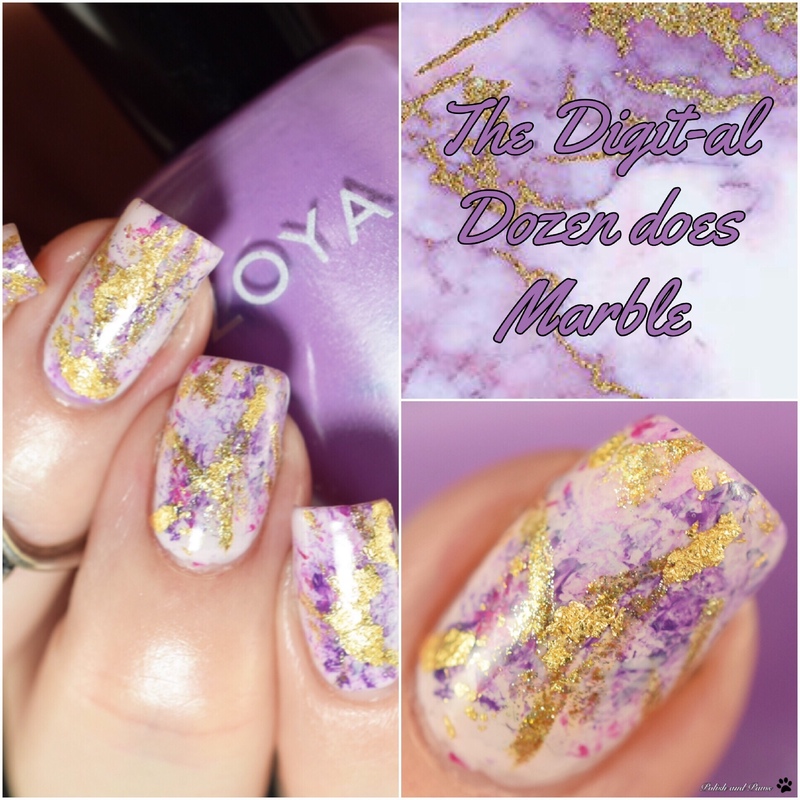 Today is Day 4 of the January Digital Dozen and I hope you have been enjoying everyones marble manis. 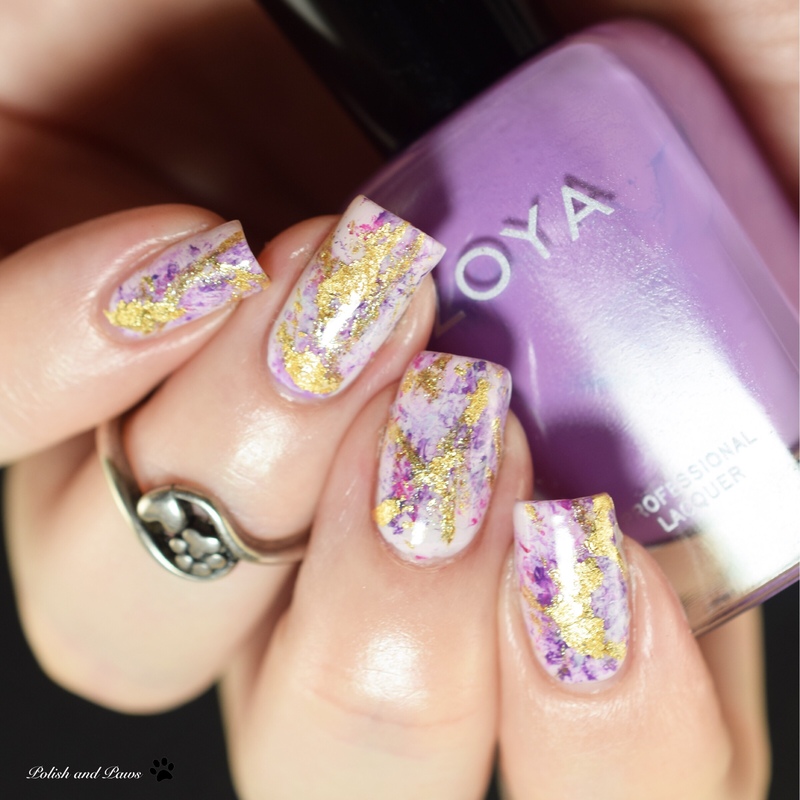 And if you’re just tuning in I hope you will check out the other manis linked at the bottom of this post. 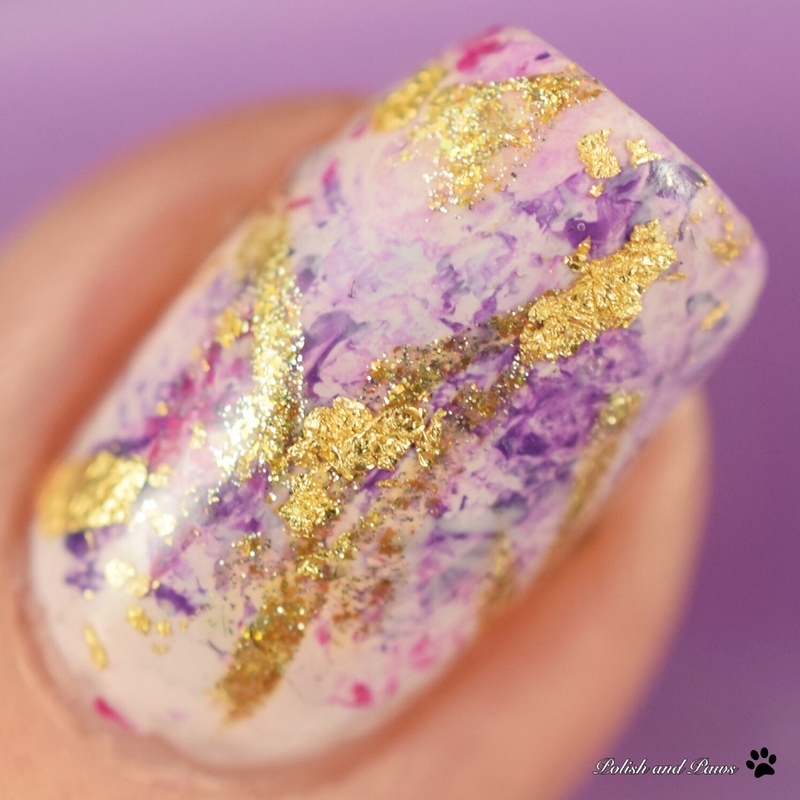 You can see my inspiration picture for this mani in the collage above. For this look I started with 1 coat of LeChat Stolen Glances. Once that was dry I dabbed on a little of each of the other colors using a piece of balled up saran wrap. I then used some nail glue to apply the gold leaf foil. Finished it off with glossy top coat. I wasn’t sure what to think of these when I first did them, but they are growing on me now. 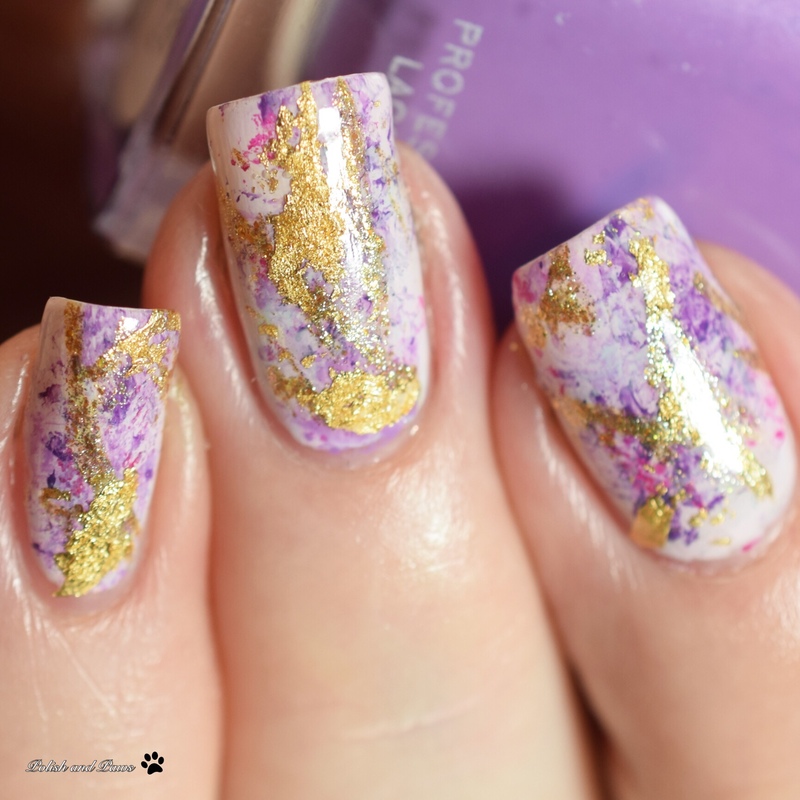 You can click below to see the other manis for Day 4. I always love to see what the other ladies come up with. The gold leaf really adds a great touch. So different than a gold polish would have. You are nailing the inspirations. I absolutely love this. You’ve convinced me that I need to try gold foil! 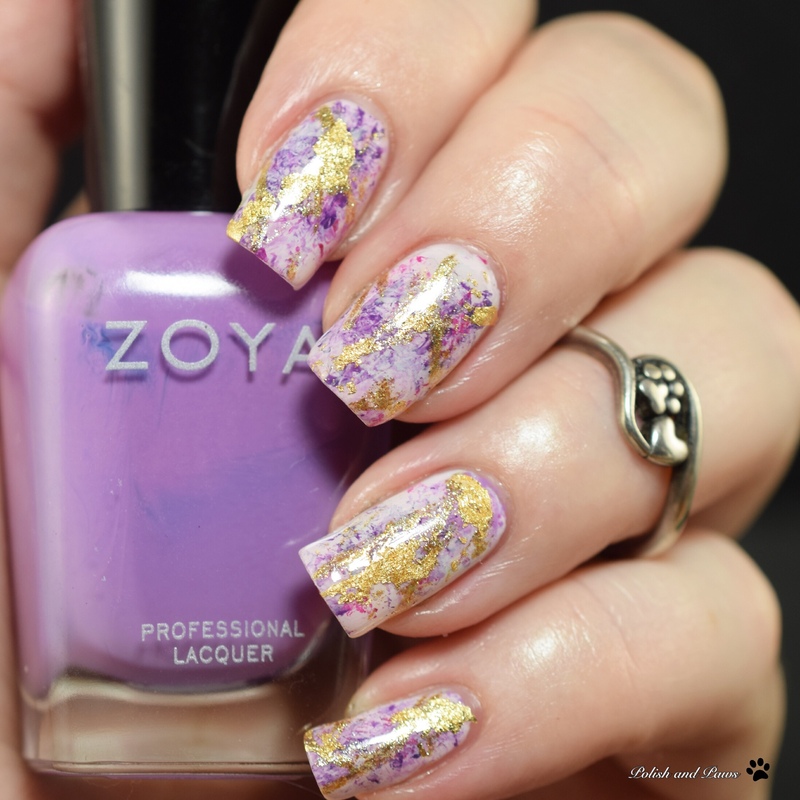 The gold on the nails is such a pretty touch! The gold was a PERFECT choice!